As the 2017-18 NBA season tips off, we want to give you a first look at the new NBA Experience at Walt Disney World Resort coming to Disney Springs. Stay tuned to the Disney Parks Blog as we’ll be sharing more information on this exciting West Side addition coming in Summer 2019. And, with the start of the NBA season, we also want to wish our hometown NBA team, the Orlando Magic, good luck. As part of Disney’s jersey sponsorship agreement, Guests who renew or purchase qualified Walt Disney World annual passes at the Amway Center this year will receive a new Orlando Magic jersey complete with the Disney logo, while promotional supplies last. Visit orlandomagic.com/annualpass for more information. I can’t wait for the NBA experience at Disney Springs and I love Orlando Magic and I can’t wait to eat and shop in the NBA experience at Disney Springs. WOW!!!!! I have not been to Disney in decades but I will definitely go back next year to check this out! What a great move by Disney to take the worlds most popular sport and make a unique experience at their park. People are going to come from around the world just to take part of this NBA Experience. And I am one of them!!! I can’t wait for this to be completed! I echo many of the comments here. While Disney Quest was ready to retire, I am zero excited about the NBA experience and agree that this would be better suited for Wild World of Sports. This is one of the few times I am disappointed with Disney’s decision on a venue. Excited about it! I love this game!!! I’m keeping an open mind with this one… I actually really like the look of the place. I also don’t see it clashing too much with the West Side as it is definitely the most modern section (see: Cirque, Splitsville, AMC, Starbucks, etc.). Not to mention Disney Quest wasn’t exactly a vintage looking building either. Speaking of Disney Quest, I definitely think it had to go. It must have been too much of an investment to keep it fresh and updated because they just kinda let it go the last decade or so. The classic arcade floor is going to be the only thing I actually miss. Will this be a worthy replacement? Only time will tell. Luckily, for people missing the Virtual Reality stuff, the new Star Wars VR Experience looks awesome. I loved DisneyQuest (though it was dated). I could care less about the NBA and have no intention to go. Bad call Disney! I want to be positive, but this is a yawn for me. I played basketball in high school, my kids are playing it–but I can’t imagine what this may be like and if I’ll want to go back more than once. Maybe I’ll be pleasantly surprised. 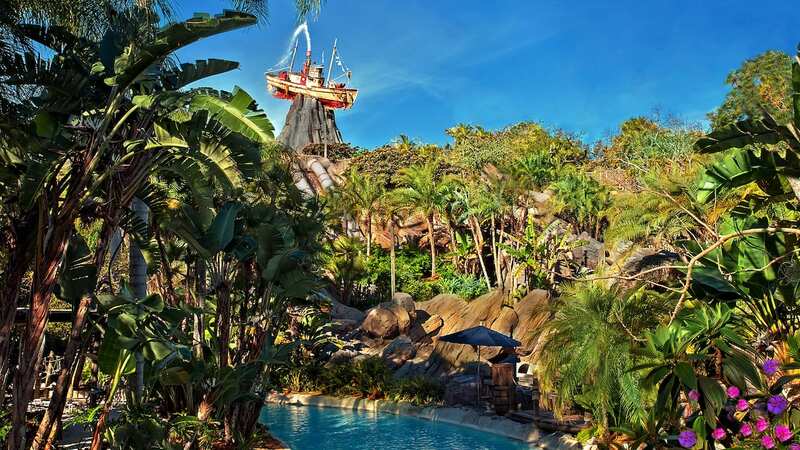 Hopefully Disney will figure out a way to add some magic to this to encourage repeat visits. So sad to see Disney quest go. I really hope they make another Disney quest in another location. It was a great way to break up the day and have fun games to play with all the different ages kids in our family. The games for the little ones were awesome and the older kids were always able to help the young ones play…as a lot of the older games the middle aged kids could play with the big kids. If they just brightened it up va keeping it so dark and made it a little more open areas I think it would’ve remained a huge hit. As well as stepped up the food court areas. We do like basketball however I’m not sure we would be going out of our where like Disney quest to go hang there with the Family. Hopefully they will come up with some type of new arcade/Disney quest. DisneyQuest was one of my favorite attractions, so…yeah, I wish it got refurbished instead of demolished. Mind, I am curious, and do plan to visit when it’s open, but… yeah, RIP Disneyquest. Hopefully there’ll be another coaster-making attraction with the comfort of Sum of All Thrills and the variety/ride-making options of Cyberspace will exist soon…because that would be AMAZING. Not here, of course, but hopefully there will be good attractions and interactives here. I’ve never understood the ESPN restaurant at Boardwalk Inn, and don’t understand this at Disney Springs. It may not get as much exposure as it would at Disney Springs, but wouldn’t NBA fit better at ESPN Wide World of Sports? Duh! We are thrilled this is coming to Disney Springs! We are huge basketball fans and can’t wait to visit! Disappointed with this addition. Doesn’t seem to fit in with the theme of Disney Springs either. 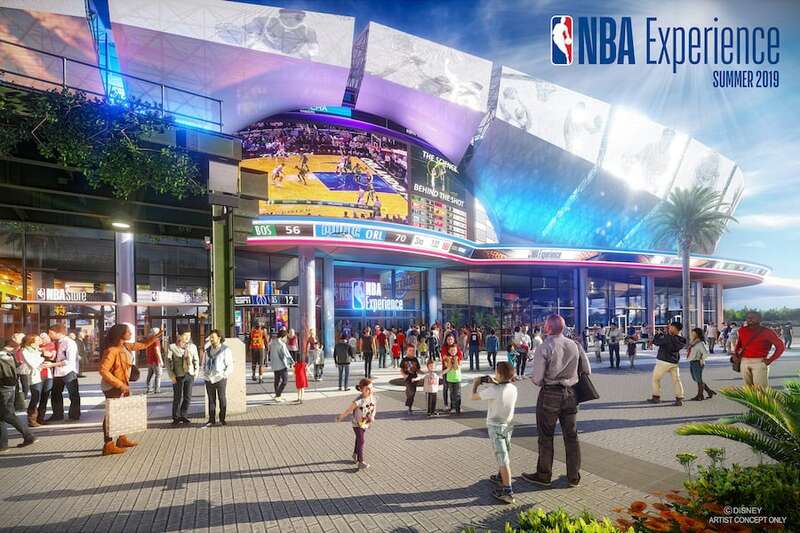 Of all the attractions that could have been, an NBA Experience is something we won’t experience. Poor choice. Our family misses Disney Quest. We probably won’t visit the NBA experience more than once. Disney Quest was a must every visit for my kids. The Naismith Basketball Hall of Fame is in Springfield, MA, and it’s a pretty awesome place to visit. I can imagine this will be quite spectacular, not very Disney”esque” though, be careful not to dilute the Walt Disney Brand too much! Can’t say I like it. I’m not a basketball fan. I’ll go in it once to see it but that will be it. Think they could of done better with something that would appeal to a broader audience. Seems out of place with the vintage look of the rest of Disney Springs. Our family of basketball fans can’t wait! 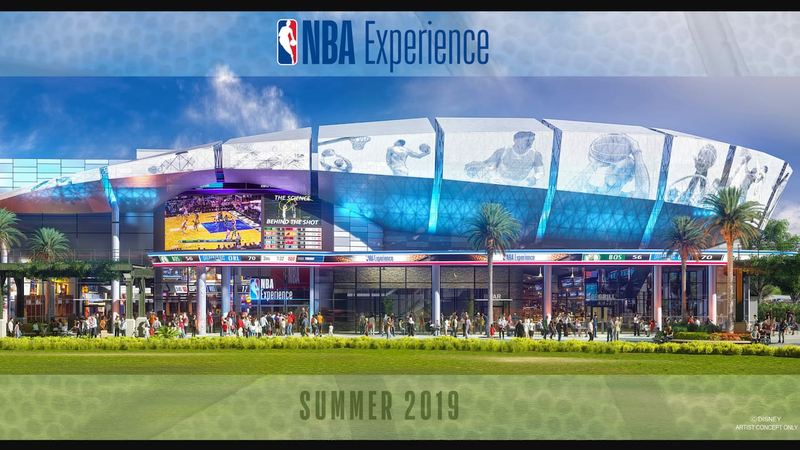 So It looks Nice NBA Experience is coming in 2019 at Disney Springs!